As with our normal teas, we insist that our herbal ones always use the whole leaf or flower. The leaf should be worshipped, not crushed. 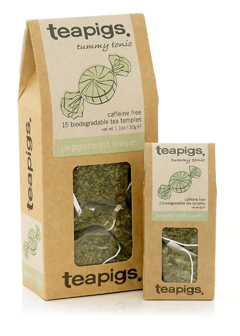 You’ll find the mint will be fresher and finer than any teabag mint you have tasted before. Mint is well known to be a great tummy tonic, so sip this when your stomach is grumbling. Pure mint – so, as you’d expect a strong minty taste, then. Very refreshing, very light. Pure. Or try a mini blend of 1 Peppermint Leaves tea temple and 1 Chocolate Flake – voilà! Mint choc chip! Unpleasant to be around. This helps to eradicate toxic breath and a dodgy stomach.